Do I Have a Case for Failure to Accommodate My Disability? Disability can be invisible to the observer — such as a glandular condition, a mental disorder, or a history of cancer. 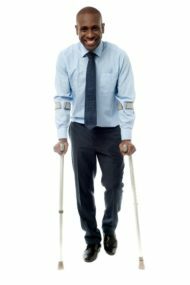 Do you have a disability, defined for purposes of this question as any condition, mental or physical, that may render the performance of work more difficult? Were you either an applicant for employment or an employee for the Company that may have violated your accommodation rights? Has either a medical, psychiatric, psychological or other expert diagnosed your condition? Do you believe your medical or psychiatric provider would support your case for accommodation by providing a statement of the disability and a statement of the needed accommodations? If “yes,” proceed to the second short section of 3 sections.